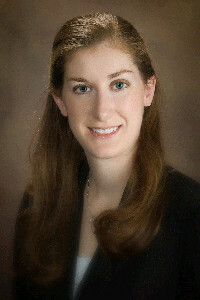 Kelly J. Dollins is a 2007 graduate of the Franklin Pierce Law School. She has been an associate at Yablonski, Costello & Leckie, P.C. since 2007 where her primary areas of practice are Workers’ Compensation and Social Security Disability. She also handles the firm’s Estate practice. Ms. Dollins handles all aspects of workers’ compensation litigation, and regularly litigates cases before WCJ’s in western Pennsylvania on behalf of injured workers and medical providers with outstanding bills. She also handles a large portion of the firm’s appellate practice and has successfully represented the interests of her clients before the Workers’ Compensation Appeal Board and the Commonwealth Court of Pennsylvania. Additionally, Ms. Dollins regularly prepares and presents educational seminars regarding workers’ compensation benefits to various unions and other organizations. Ms. Dollins is a member of the Washington County Bar Association, the Pennsylvania Bar Association, and the Workers’ Compensation Section of the PBA. When she is not practicing law, Ms. Dollins enjoys traveling, cooking, running and playing with her great dane, Oliver.